Showcase your down to earth nature with this exclusive metal cow and calf showpiece with intricate designs and a polished silver look that goes great with all types of tables and shelves. 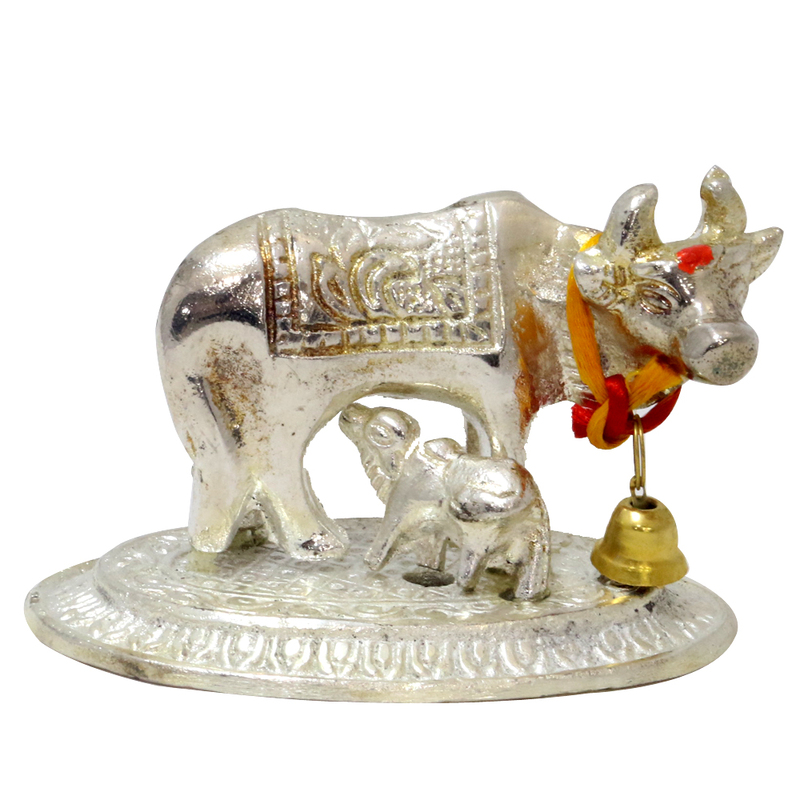 A pure work of beauty to look at, this cow and calf center piece made from metal and silver in colour is definitely what you Read More..need for your shelves and table to add a bit of life in the monotonous modern art world. Show Less..